Dr. Stephen Felton began what would become Princeton Eye Group in 1980. As he enters the twilight of his career, recently limiting his practice to three days a week, Dr. Felton has begun reflecting on an incredible life and career that nearly never occurred. For Stephen was born, two months premature, in the Warsaw Ghetto in 1942. His mother Eva Feldsztein would escape the Holocaust and Nazi tyranny with her ‘miracle’ baby, but not before experiencing and enduring unspeakable tragedy and atrocity. Eva and Stephen survived the war with the help of the Matacz’s, a Polish Christian family, only to learn later of the extermination of Stephen’s father Victor and step-brother Stasio in the Auschwitz death camp. This is not a subject that Eva would ever be comfortable speaking about. In fact, she never did until recording her memoirs prior to her death in 1992. Those words would later be published in I Shall Lead You Through The Nights-The Holocaust Memoir of Eva Feldsztein (ComteqPublishing.com). Stephen arrived in the United States in 1947, settling in Brooklyn, New York with his mother and new stepfather. His role model would become his Uncle Joe, who he would later follow into the chemical business. Stephen would earn his Ph.D in Chemistry before going to medical school at age 30. He wanted to improve people’s lives. Eva Feldzstein’s spirit and legacy lives on in Stephen, his family, his colleagues and the thousands of patients and lives that he has helped to improve. Stephen and his family were reunited with the Matacz family in Poland. They were recognized in 2012 with the title Righteous Among Nations by Yad Vashem and the Israeli government for having hidden Eva and Stephen from the Nazis. Stephen plans to travel and play more golf with his newfound ‘spare’ time. I Shall Lead You Through The Nights is used today at colleges and universities as part of their Holocaust education programs. Update: read more about Dr. Felton’s story in Princeton’s Town Topics. Dr. Epstein has been teaching ophthalmology residents at Wills Eye Hospital for the past 10 years. Spending time in the Wills Cataract and Primary Eye Care Clinic and the operating room teaching cataract surgery is his way of giving back to his alma mater. Dr. Epstein derives great pride in knowing that his efforts ensure the next generation of cataract surgeons are as talented as the current one. Teaching has another unexpected benefit. 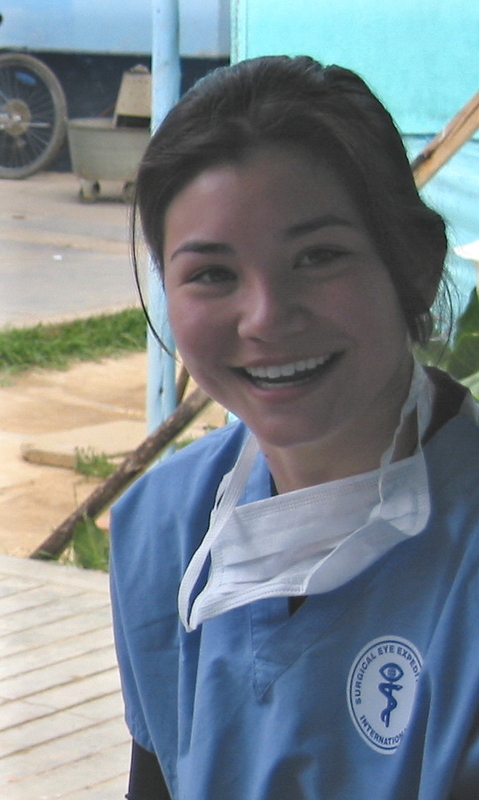 According to Dr. Epstein, “Teaching fundamental and advanced techniques makes you a better surgeon by forcing you to constantly re-evaluate your own mechanics and skills.” All of the doctors at Princeton Eye Group help to teach residents, medical and college students from Wills Eye Hospital, Robert Wood Johnson Medical School, and Princeton University. 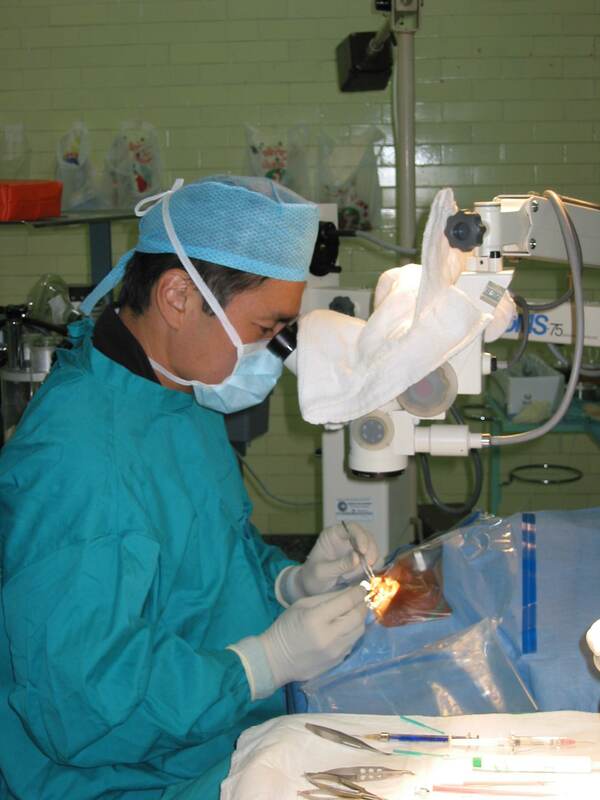 Dr. Michael Wong, a pioneer in minimally invasive cataract surgery, is the distinguished recipient of the New Jersey Inventors Hall of Fame’s Innovator’s Award. This recognition honors lifetime achievement, invention and innovation among outstanding, New Jersey-based scientists, engineers and researchers. Dr. Wong is the first clinical physician to be honored as an innovator by the New Jersey Inventors Hall of Fame. 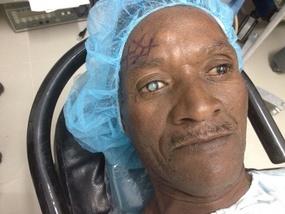 His surgical procedures to correct cataracts, the most common and treatable form of blindness, reduce the rate of post-operative infection and promote faster healing. The technique he developed, known as the ‘Wong Way,’ is now used world-wide. 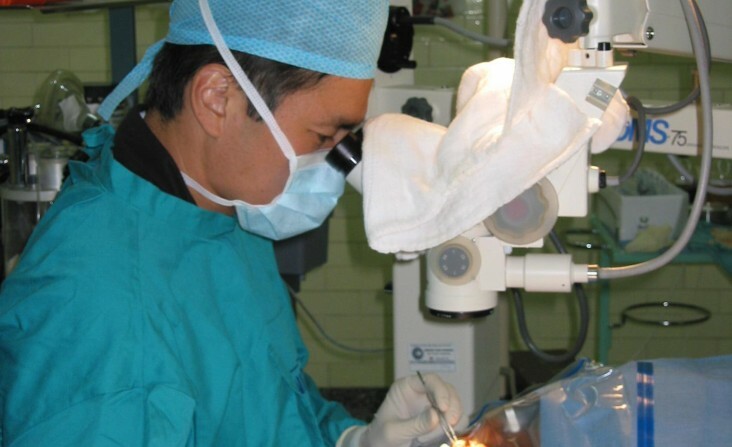 For three decades Dr. Wong has been in the vanguard in refractive surgery in central New Jersey, introducing radial keratotomy in the 80’s and LASIK surgery in the 90’s. He has also been recognized with the Distinguished Physicians Humanitarian Award by the University Medical Center of Princeton at Plainsboro for charitable work performed locally, as well as overseas in Africa and South America. procedures; and John von Neumann, who established the mathematical architecture of computer logic and concept of internally stored programs. According to an article in The Archives of Oph­thalmology, researchers have estimated that 20.5 million Americans over the age of 40 have a cat­aract in at least one eye, and women are nearly 40 percent more likely to develop them than men. In the elderly, cataracts are the most common cause of vision loss. Cataracts are the clouding over of the clear, crystalline lens inside the eye. This cloudiness scatters light, reducing contrast and causing glare, especially in bright light or while driving at night. The common treatment for cataracts involves removing the cloudy lens with ultrasound that liquifies the cataract, and then restoring vision with an intraocular lens transplant. 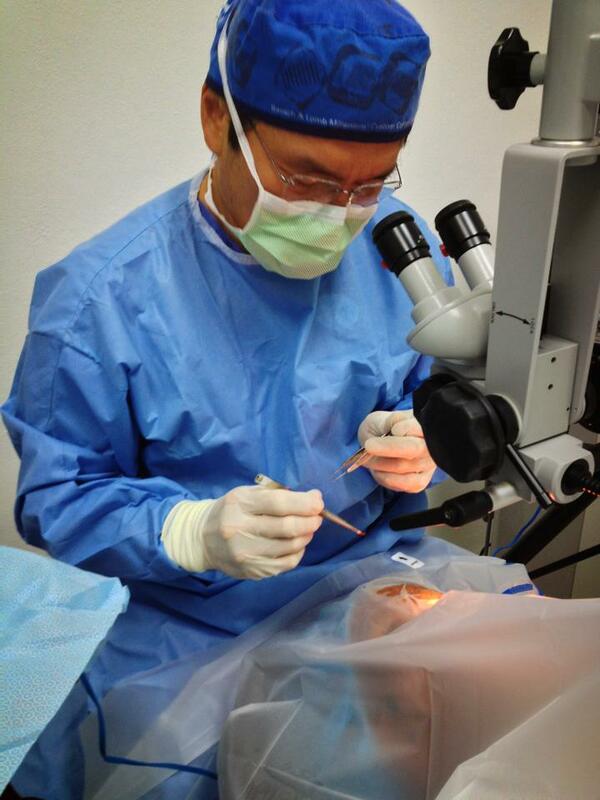 Dr. Michael Wong has developed a technique to improve the sealing effect for sutureless clear corneal cataract incisions. 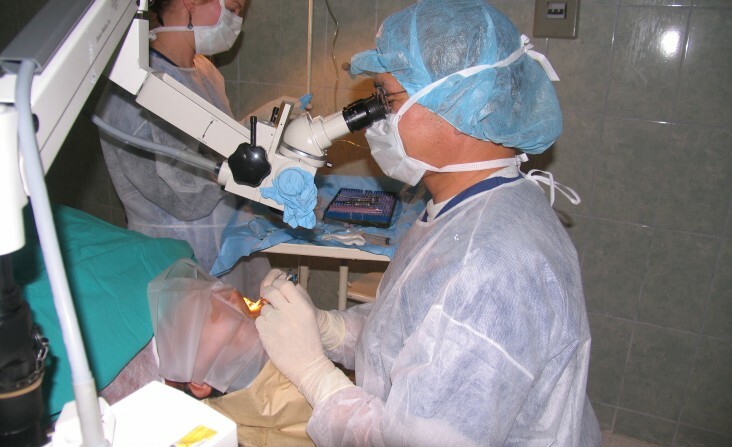 He creates a supraincisional stromal pocket just before making the clear corneal incision. This pocket is hydrated at the end of the procedure to increase a downward pressure to oppose the upward force of the intra­ocular pressure. This compresses the clear corneal incision, improving its seal to speed healing and reduces the chance of infection. 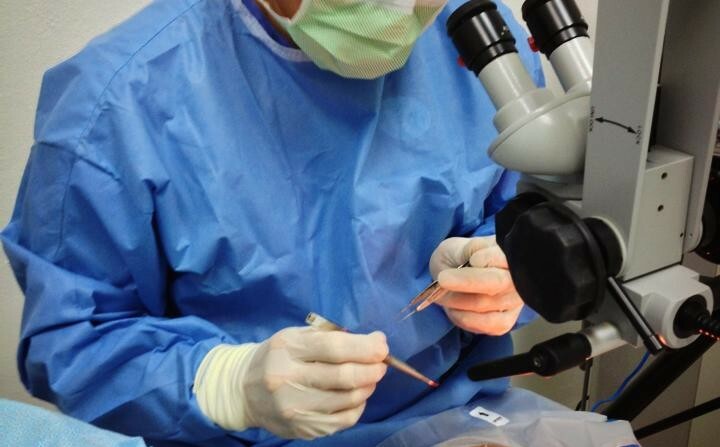 This ‘no-stitch, minimally invasive technique’ is used world-wide, and has been featured in the most prominent medical journals. Dr. Wong has contributed his method to a major ophthalmology textbook titled Mastering Refractive IOLs: The Art and Science, edited by David Chang. Dr. Michael Wong has been fortunate to have a strong support system both in his associates at the Princeton Eye Group and his family, that allow him time to help those in need. “I simply see the work I do overseas as an extension of what I do here locally. There are no borders to humanity,” explains Dr. Wong. 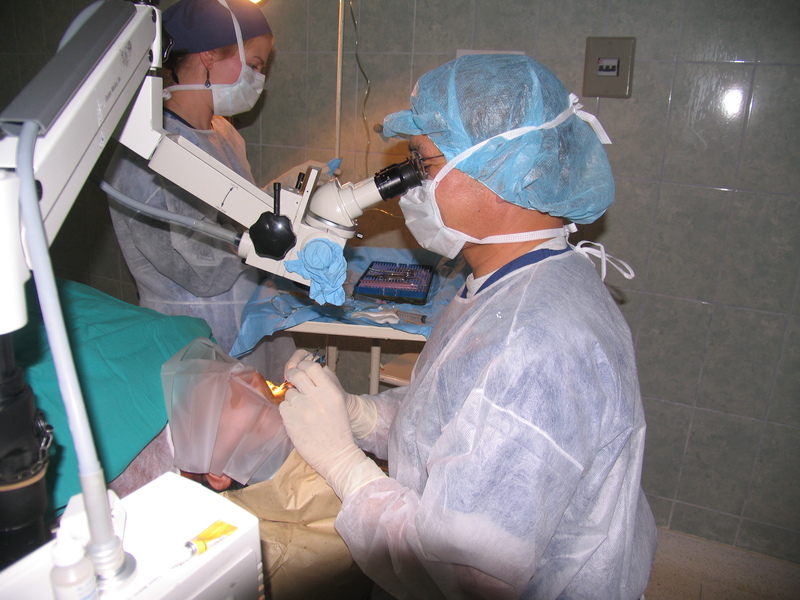 His many international contacts through organizations such as Surgical Eye Expeditions and Vision Outreach International helps tremendously in the logistical planning. He plans on making annual missions in the future in addition to the significant amount of charity provided locally by the doctors of the Princeton Eye Group. You coordinated an “eye camp in Oshakati, Namibia. Tell us about it. 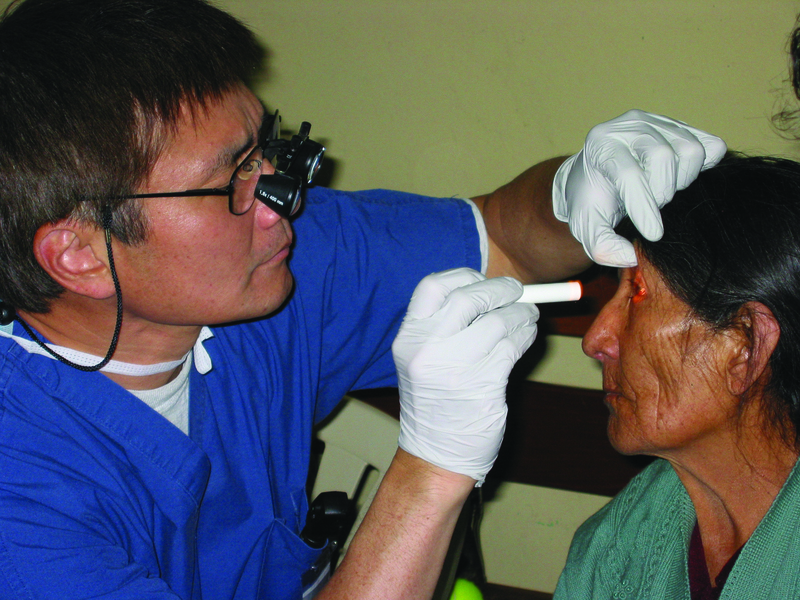 Surgical Eye Expeditions connects a host ophthalmologist from a needy country with a willing volunteer such as me. Namibia is fortunate to have a dedicated “Blindness Secretariat” by the name of Helena Ndume. After a brief correspondence, I gathered my son Matthew, age 16 at the time, and hauled surgical supplies along with a caravan of Red Cross volunteers and nurses, to this impoverished area of Namibia near the Angolan border. This area had been ravaged by a civil war and drought. 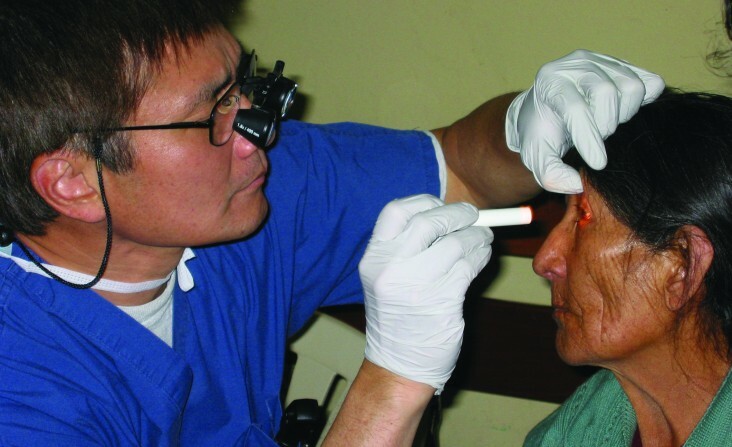 Those in need of eye surgery basically wait, years at a time, until an “eye camp” can be set-up, and only hope that they make it on the list. There was more work than expected, but undaunted, we worked 16 hour days and actually took care of every last person who had come, some from hundreds of miles away, many by foot. The medical situation was challenging, but the people couldn’t have been nicer or more appreciative. 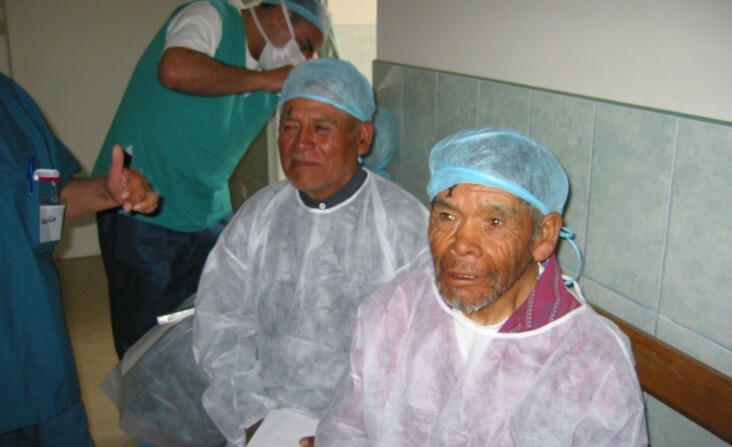 Twice you’ve gone to remote villages in the Andes mountains of Peru under difficult circumstances. 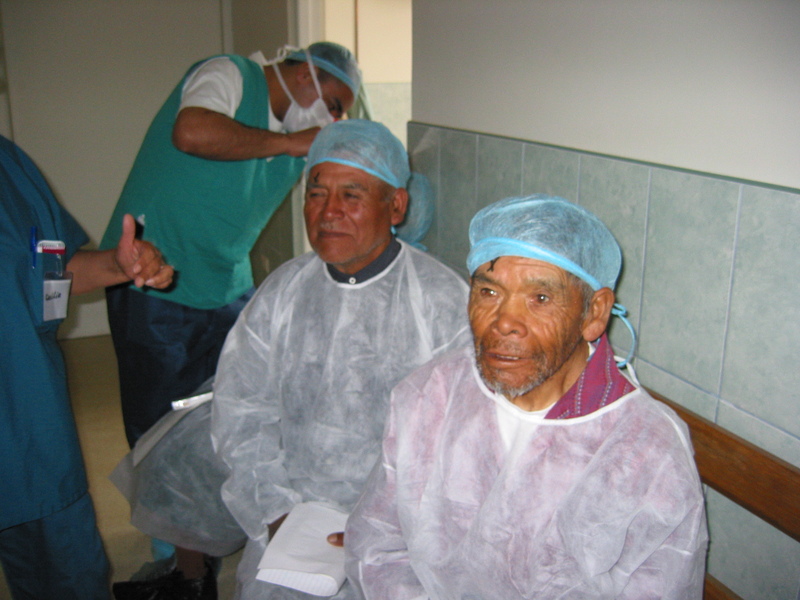 You performed 75 cataract surgeries and 25 surgeries for individuals with crossed eyes in Juliaca and repeated that program in Huamachuco. Describe those trips. It was a compelling story, one to which I had to respond. The indigenous Indians of Juliaca, descendants of the Incans, are amongst the most impoverished in South America, caught between neglect and civil war. At nearly 14,000 feet elevation, the extreme UV light has caused an epidemic of cataracts. Without supplies, the local ophthalmologist was hamstrung. This adventure included my son Scott, and the two of us completed the first cataract surgeries done in that region in decades. Unprepared for the elevation and freezing temperatures, this was the most difficult trip for me from a physical point-of-view. I suffered the worst headaches of my life and developed asthma. Still worth my going, nevertheless. The Huamachuco trip presented other challenges. Arriving at this site, the entire country of Peru underwent a general strike. The town services shut down, including the nurses at the hospital. So I “deputized” the handful of teenagers who volunteered for the trip, taught them operative technique and transformed them into operating nurses. 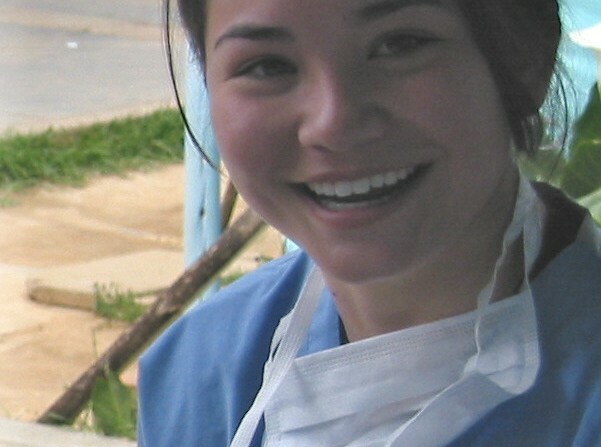 My daughter Julia, 16 at the time, who came along thinking she would be doing some paperwork and taking pictures, was “first scrub-assistant” for the very first modern-day cataract operation in Huamachuco. I learned how much youthful exuberance and enthusiasm can do when push comes to shove. You’ve included your family in some of your service trips. Tell us about that. It’s more fun when you can share and learn, and never better than with your family. All three of my children have been on overseas missions with me, and they did so eagerly and have not been disappointed. My wife, an R.N., switched gears and went from being a cardiac nurse to an ophthalmic nurse so that she can come on these missions with me. It has become a family affair and an enriching one at that. I learn from these trips: about humanity, about other peoples, about myself. What the kids learn is different, as they come from a different perspective, but learning they do. Not sure what, but the experience is so different from the book learning in Princeton. I encourage young people to explore in these directions. Many say it’s life-transforming. Dr. John Epstein, a long time guitarist with a passion for music, wanted to make sure his kids shared this important part of his life. His daughters began playing musical instruments at the age of 5, and now his 11 year old daughter, Isabella, plays piano, harp, cello, keyboards, accordion and flute. His 9 year old daughter, Madeline, plays electric and upright bass, piano, and drums. His wife also plays flute and can sing. So what do you do with all that talent under one roof? Why, of course, you start a band. Thus, ‘PJ Rocker’ was born. Their first major gig was to play at Dr. Epstein’s own 40th birthday party. In another particularly special moment, Dr. Epstein was invited to be a guest guitarist at a charity concert at the famous Canal Room in New York City to benefit the Clark School For the Deaf. His daughter Madeline joined him on bass. They played in front of over 300 people and helped raise $40,000 for the charity. Truly a night both father and daughter will never forget! School has caused the Epstein girls to take a rest from ‘touring’ this past winter, but look for ‘PJ Rocker’ in the open-mic scene throughout the area this summer.